The Lourdes slayer with custom, remote-lockout shock! Alexandre Fayolle took his first World Cup win today in Lourdes, France. The young Frenchman put down a smoking time of 2:52 and change. Though he beat the weather, his effort was on pace for a strong result. Fayolle raced aboard this Polygon DH9. He's on the Polygon UR team which runs SR Suntour RUX forks. 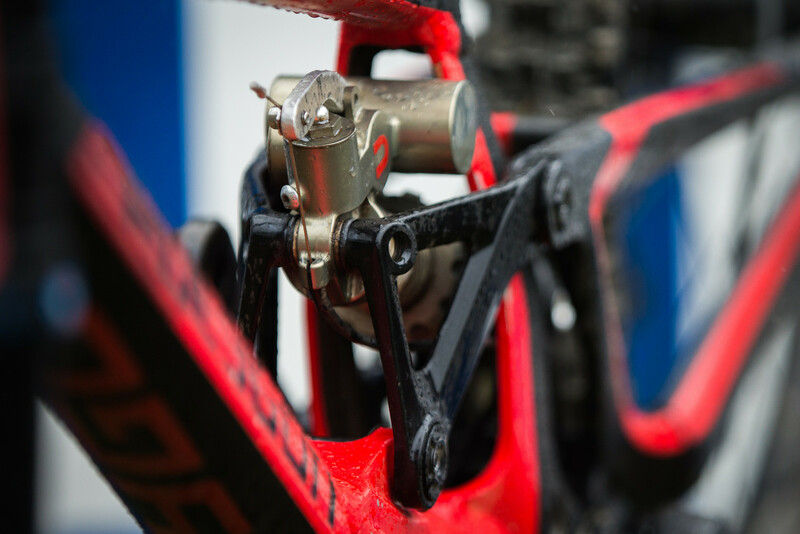 Since Suntour doesn't have a rear shock option for DH right now, the team can choose whatever they want to run and Fayolle is on a custom-built rear shock that has a remote lock-out feature. He says he used the lock-out multiple times in his winning run. Additionally, this was the first World Cup on new Kenda Hellcat DH tires which proved to stand the test. Spank cockpit, Trickstuff Direttissima brakes, e*thirteen cranks and wheels along with Shimano shifting round out the build. Alexandre's mechanic Hugues, the man who built this shock, speaks about it. Stay tuned for our race day slideshow with more photos and interviews later this evening! 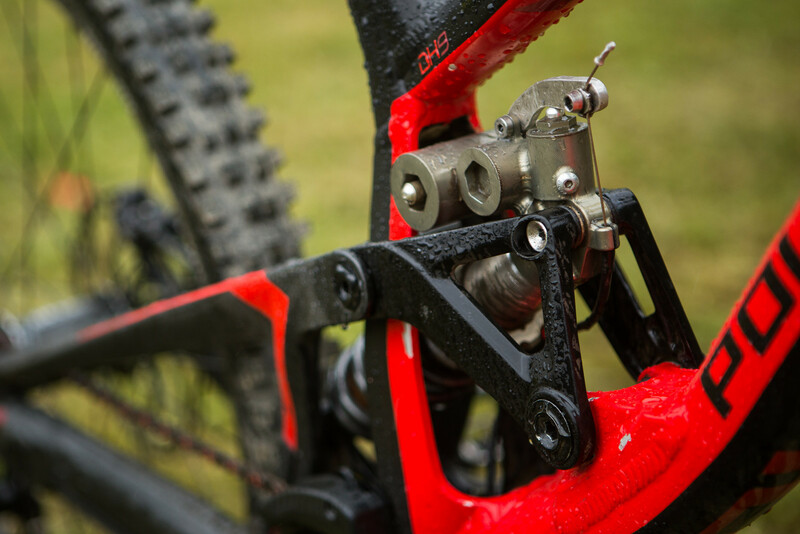 Hmmm Crank Brothers pushing new DH Mallets all week long... old ones seem to work just fine too! Would have been nice to see bike checks from Finn's and Rachel's bikes too! Especially since Rachel's Session is a new Session (even if it's not the 29er version from the Dirt write up). Finn's is in our PIT BITS gallery. Rachel's bike wasn't available at the time, but there will be news on it soon enough...so we've heard. It is no longer UCI legal to use those tactics in qualifying. Hence why everyone is complaining, and why they only broadcast the top 20 or so qualifying racers. How do they enforce/govern this? Congrats! His win was well deserved. No need to speculate on what if scenarios. Alloy frame, sun tour fork, one off shock, trick stuff brakes, kend tires. . . Part of me thinks the big manufacturers and big sponsors are not happy with the way the race shook out. His bottom section looked amazing...pumping for speed at every opportunity. Definitely interested in finding out more on how to build a custom shock like this one. There's no telling what would have happened. Loic, Gee, and Gwin have been on plenty of winning runs only to crash out in a seemingly benign section. Is it likely Loris or Troy or Minnaar might have bested that time? Historically speaking, sure. But in the top 15 riders there also likely would have been some slower runs, crashes, and mechanicals and Fayolle put so much time on the rest of the field could have had a podium-worthy run even if the weather held. That's how racing works. You can make predictions based on the past, but anything can happen on any day. Congrats to Fayolle! Why is no one talking about this rad custom shock? Right? I want to know more about the shock as well! 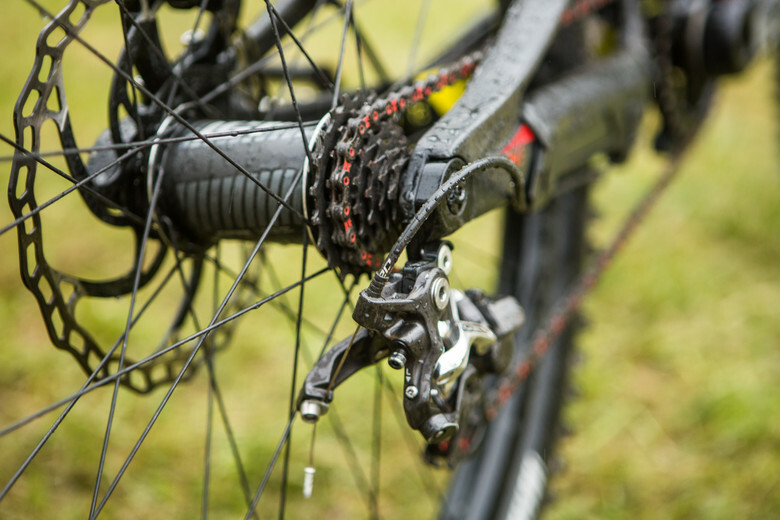 A "pedal mode" shock in a bike with a dual link setup is something I'll always be intrigued about. Shouldn't the anti-squat built in the system be enough to warrant good pedaling characteristics? Also want to point out that before the conditions were terrible, and some of the top riders were only really wind affected at the top (pre rain), none of them could put a dent in Fayolle's bottom section. It wasn't like they were losing time at the top but then clawing it back in the bottom half were they were more unaffected. Fure sure Vergier/Bruni/Hart/Gwin/Minnaar/Brosnan would have been likely to match or best that time, but his run was sick regardless. Too bad it wasn't part of the live broadcast. Nah, that was maybe a top ten run. 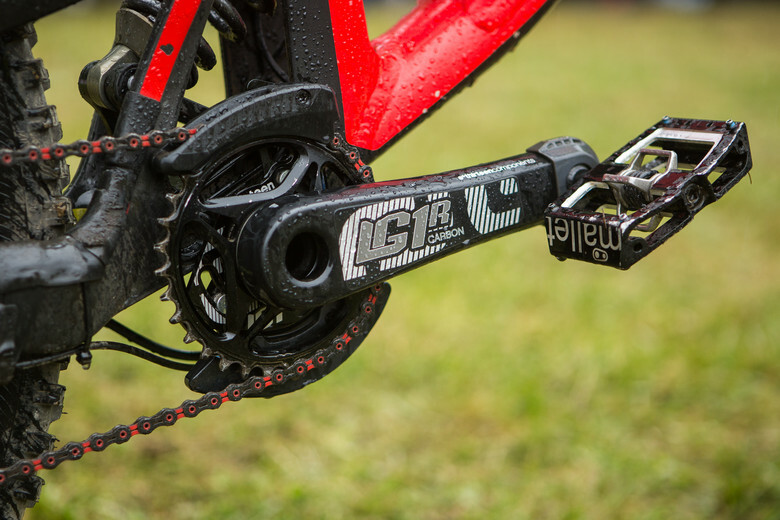 They don't give it all in qualifying, and people like Gwin don't even ride the same lines. They leave about 3-5 seconds on the table for race runs. They could have had the same conditions if they had played qualifies right.